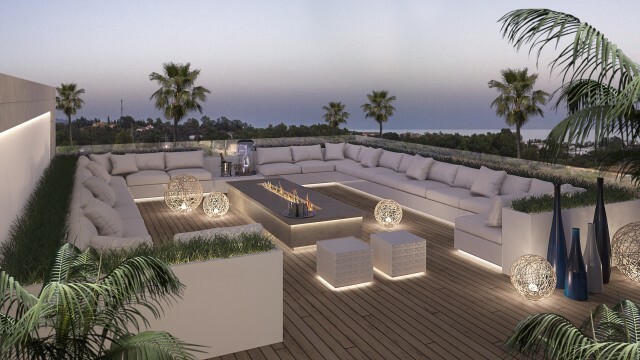 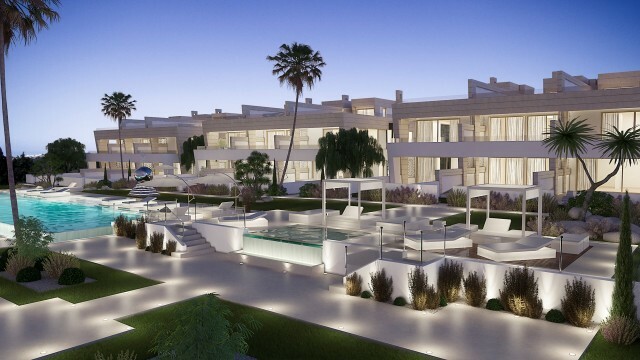 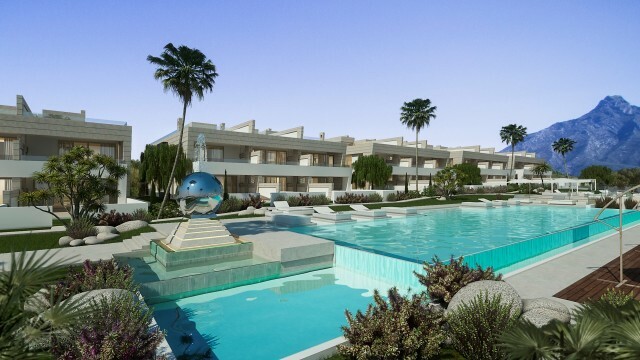 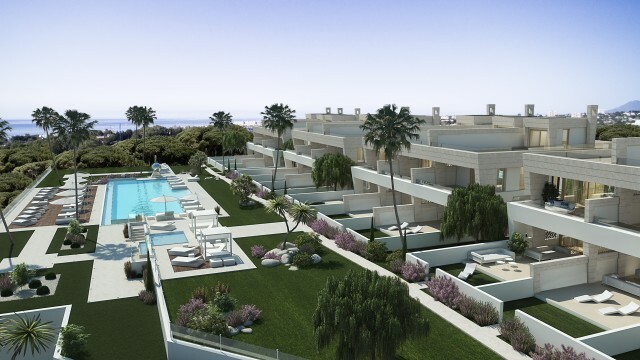 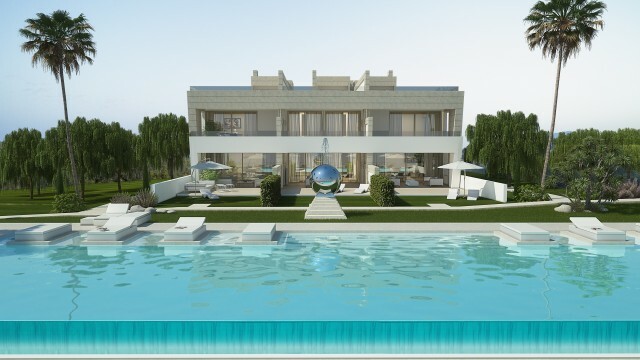 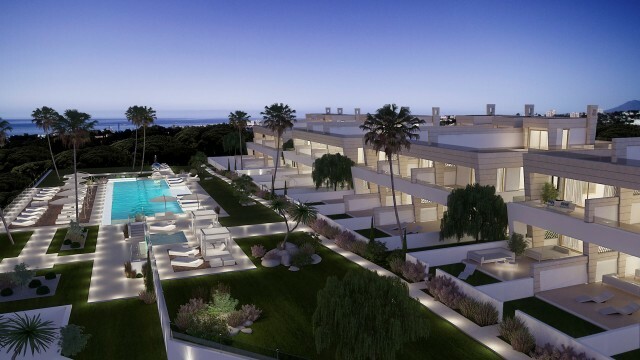 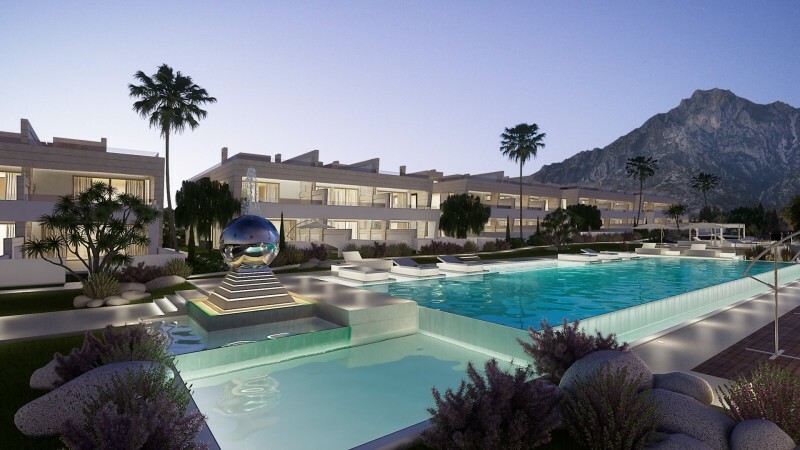 Epic Marbella - a stunning new development of oof plan luxury apartments on the Golden Mile, Marbella. 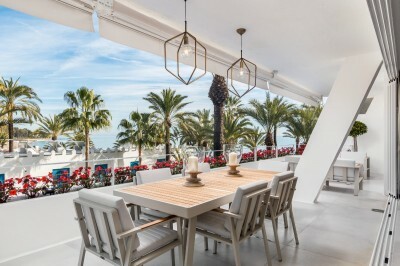 Located close to all the amenities of Marbella and Puerto Banus, close to the beaches, the Paseo Maritimo and night life of this prestigious Mediterranean resort. Epic Apartments Marbella is a small gated community of 20 apartments in 5 low rise buildings located just off the Golden Mile on the road leading towards Istan. The development includes 6,000 m2 of communal gardens which are landscaped and include a large infinity pool with sun deck. 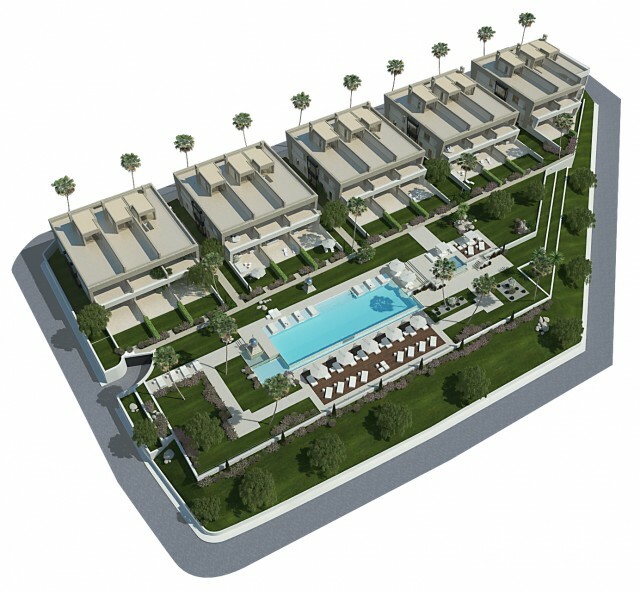 There is also a fully equipped wellness/spa with heated indoor pool gymnasium and clubhouse / meeting area. 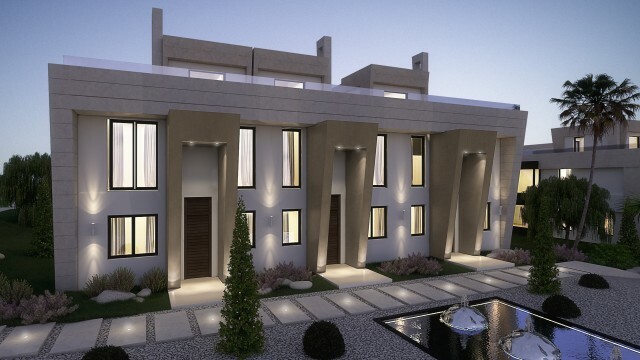 The design of the buildings is in the modern idiom with striking designs which are both imposing and welcoming. 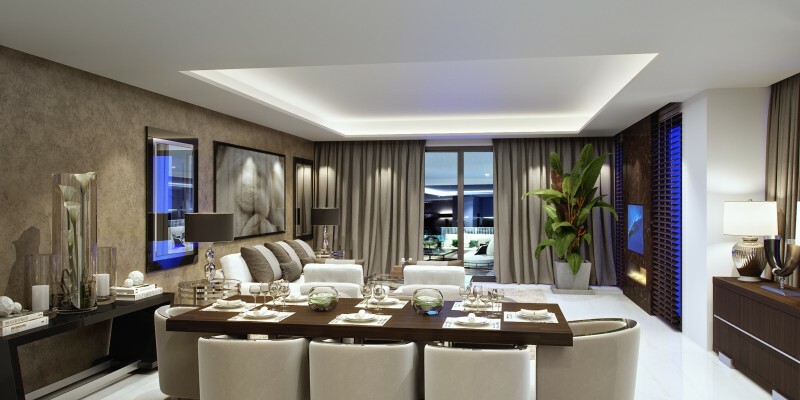 Each building offers 4 apartments, the ground floor units have private garden areas and a basement to provide the possibility of a home cinema, media room or games room plus a 4th bedroom and the upper penthouse apartments feature a large solarium with open views. 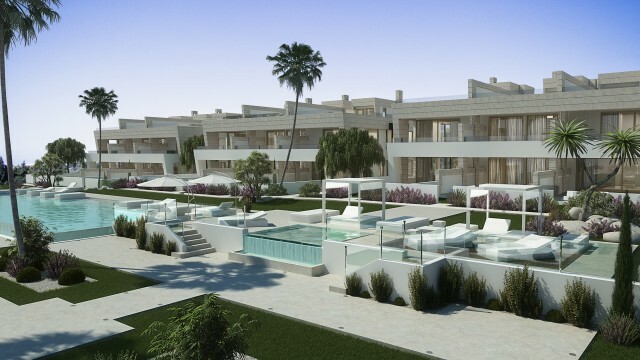 Each apartment as standard offers 3 bedrooms with either 2 or 3 bathrooms and a guest w.c. 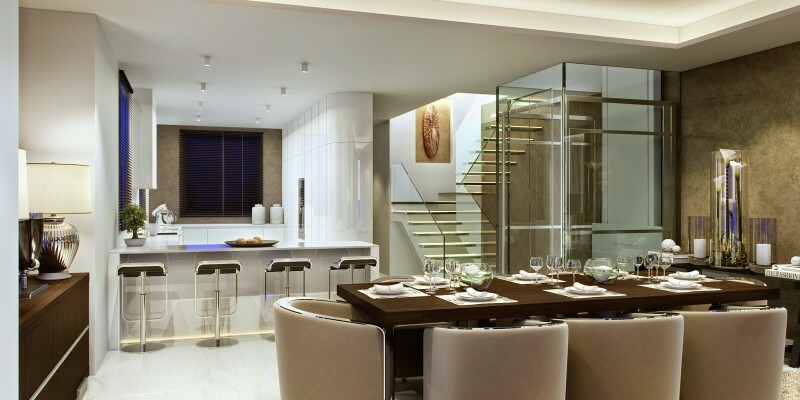 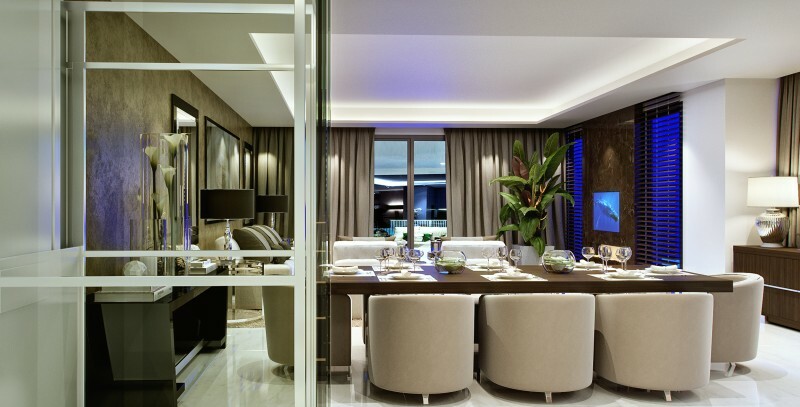 The kitchens are high-end prestigious designs with a fully range of quality appliances. High eco credentials are fundamental to the design of this project which uses the Sismo building system for high thermal and acoustic insulation and the air conditioning and underfloor heating have been specified for their efficiency and are coupled with high performing windows and doors. We hope that you would like to know more about Epic Marbella. 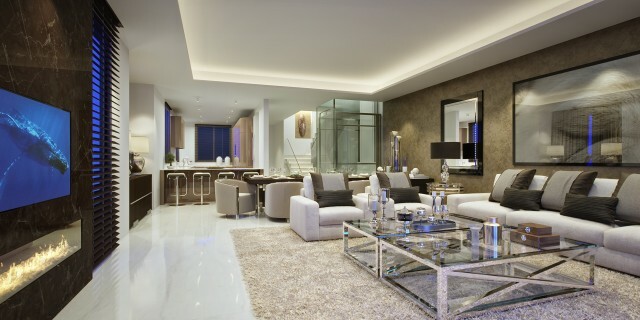 Please contact us for a full brochure, floor plans and price list.